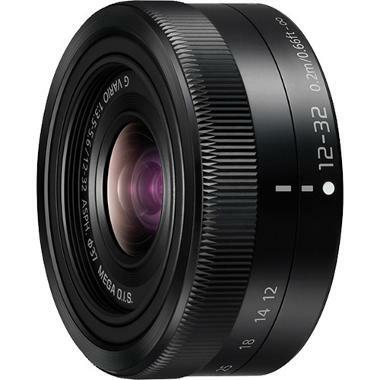 The Panasonic Lumix G Vario 12-32mm f/3.5-5.6 ASPH Lens is an extremely portable and lightweight mid-length zoom that's equipped with a stepping AF motor and an internal focus design for smooth and near-silent operation. The MEGA Optical Image Stabilizer minimizes camera shake when shooting at slow shutter speeds. Sophisticated optical elements provide aberration corrections and increased sharpness. This lens is ideal for event and travel shooting for both photographers and videographers. • This lens is compatible with Micro Four Thirds mount cameras. It is not compatible with Four Thirds mount cameras. The focal length equivalent in 35mm format is 24-64mm.